Fernances Creek Farm has wide, well-drained paddocks and is set in a beautiful and historical valley near the village of Wollombi. The farm produces The Old Stonewall Sangiovese wine from its single paddock vineyard and breeds and trains Haflinger horses. Passionate about showjumping, eventing , food and wine, makes this a great destination for riders and spectator. 1. X-country training jumps for encourager up to pre-novive (1.05. 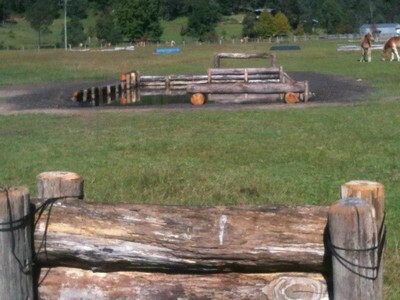 This includes logs, ditches, waterjump, brushes and an assortment of other interesting jumps.